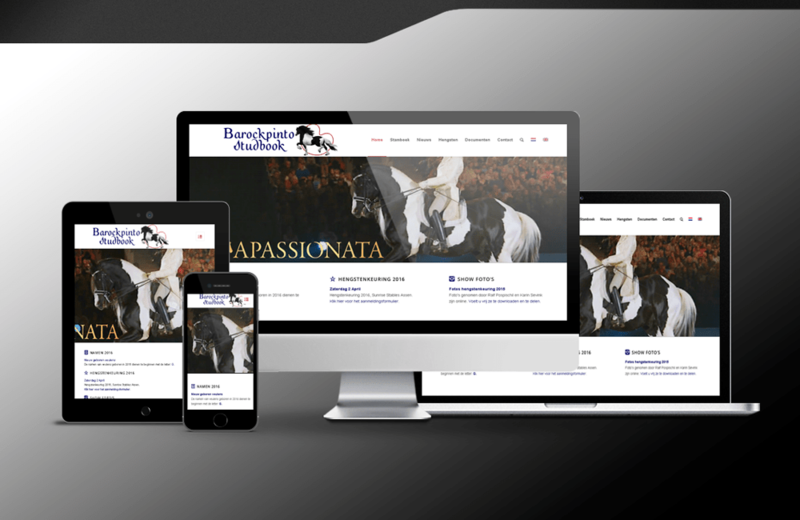 Website Barock Pinto Studbook renewed! We are proud to present the association’s new website! A fresh, new, clear and modern look. In the last few years, this beautiful studbook has grown and developed so much, that our previous website became outdated fast. Much of the contents has been placed in a new setting. While developing the website, on of the goals was to create a database of our registered studs. On the page ‘stallions’, you will find a quick and easy road to an approved stud. Its page will contain an overview of obtained points, breeding value, photo and contact information for the owner. Are you looking for a specific stallion, you can use the search engine in the top right corner of the page, or just select a stud in one of the categories. We will of course keep testing and monitoring the website in the coming time, to see where improvements are needed. This also included the updating of the stallion database. We are in the process of completing the pages for all horses right now. https://barockpintostudbook.com/wp-content/uploads/2016/02/BarockPinto-Website.png 650 1000 admin https://barockpintostudbook.com/wp-content/uploads/2017/11/BPS-home.png admin2016-02-09 22:14:002017-03-09 19:41:40Website Barock Pinto Studbook renewed!